Welcome to the month of march! its my pleasure to introduce this to my value and esteem visitor. you might be wondering what do i have for you this month? well, alot of goodies are coming your way this month. for a start, i have this. We all know that avast antivirus has been one of the best antivirus so far, in term of security, online transaction, protection against virus etc. Avast Antivirus 2015 is lestest software & it is updated with New tools .avast Antivirus 2015 software provides complete virus protection for your computer. Antivirus engine is complemented by anti-spyware, firewall and antispam modules to protect you against phishing schemes, identity theft and internet distributed web viruses. Automatic updates for greater user convenience and safety. Top user ratings among free antivirus software. .The Most Trusted Security – 220 million people choose AVAST to keep them safe online – more than any security company. avast! is the most trusted name in the antivirus industry, actively protecting more than 220 million people around the world. We’ve been protecting devices and data for over 25 years, in over 40 languages, on every populated continent. 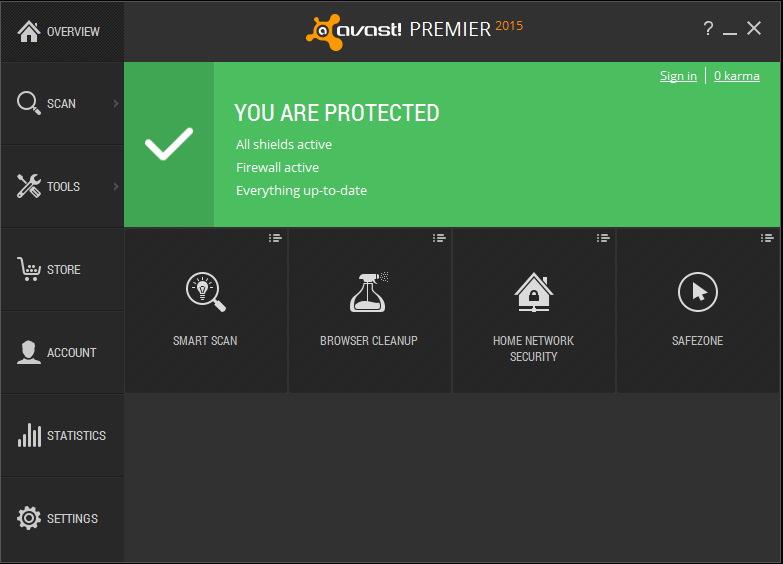 Avast 2015 antivirus has the following updates. Ability to detect and decrypt TLS/SSL protected traffic in the Web-content filtering component. This feature will protect you against viruses coming through HTTPs traffic as well as adding compatibility for SPDY+HTTPS/ HTTP 2.0 traffic. You can tune/disable this feature in the settings section. A hardware based virtualization solution capable of running each Windows process in standalone safe virtualized environment (VM) and fully integrated to your desktop. Each process is executed in its own instance of VM, which means totally isolated from your other applications. This feature is now powering the Avast DeepScreen, resulting in better detection. Avast NG requires HW virtualization enabled. A new provider which guards against unprotected DNS/DNS hijack on a router/client (including unsecured networks, public ones, etc.). Scan your home network for vulnerabilities (wifi status, connected devices, router settings, factory passwords, etc.). It helps to discover potential problems not isolated on the particular device only, but in the entire network of devices you use or connect to the Internet from. Integrated all on demand scans into one (Antivirus, Software updates, Home Network, GrimeFighter). One scan, different results and recommendations. Easy contact for paid users to submit a ticket with all info included automatically. Improved knowledge base for free users. Help is completely online and is more up to date. 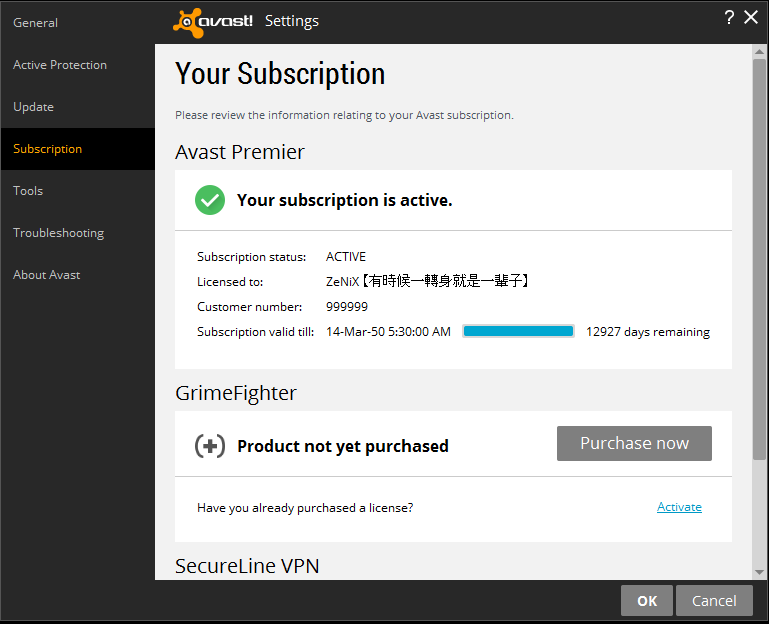 Techpill.net bring to you the lastest premuim avast 2015 version free to you Valid till 2050 instead of paying $69.99 per year. just follow this simple steps to have it installed properly on your pc. Download any one of this trial avast product you want below. Delete Userenv.dll from above folers, if you find any. At last; it will ask for reboot; just reboot the system. kindly share this by clicking on any of the share button below and also we love comment, should incase you have difficulty in doing this notify us in the comment box below.